Fremantle (bowling) beat Melville in round 6 of the WACA Premier Cricket Competition. A HUGE five-wicket haul from Chris Chellew has helped Fremantle Districts continue its unbeaten start to the season with a win over cross-town rivals Melville. Having set Melville 303 runs to win, Fremantle’s bowlers went on the attack on Saturday, seeing off a strong 70-run stand from the openers before Chellew claimed the first three wickets. Melville’s batsmen struggled to recover, losing wickets at regular intervals, but despite a late surge from Mark Turner who scored 76 from 67 balls, the team eventually fell just 23 runs short. Openers Luke Towers and Blake Reed were the pick of the batsmen, scoring 38 and 40 runs respectively, while Jamie Heath helped Chellew with a three-wicket haul of his own. The win keeps Fremantle in second place behind the also undefeated Claremont-Nedlands, while Melville sits in 12th. Fremantle will begin their two-day match against Wanneroo Districts this weekend, while Melville hosts Midland-Guildford. THERE were dominant displays across the board on the first day of round 5 South Metropolitan Cricket Association play. 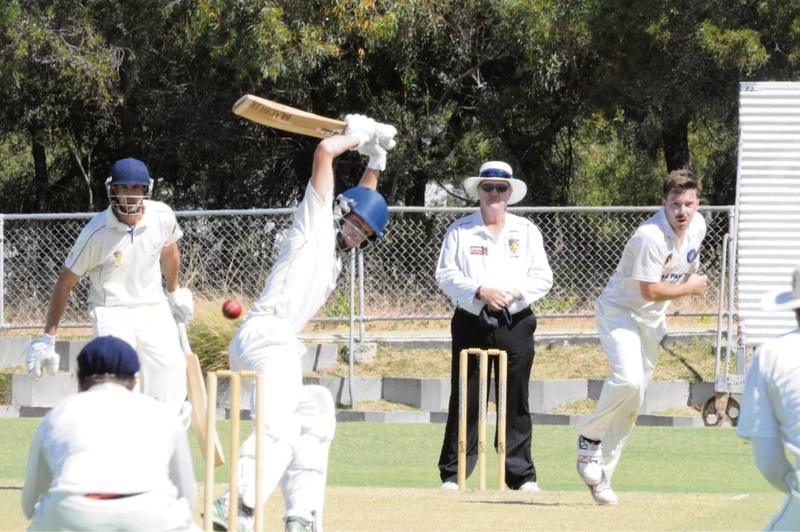 Cockburn won the toss against East Fremantle but elected to send their opponents into bat, the decision reaping benefits almost immediately, with wickets falling steadily throughout the innings and East Fremantle unable to form any big partnerships. Opener Nick Siave was the only one to make any sort of leeway, top scoring with 26, while Cockburn’s Sajith Kodituwakku, Jake Westphal-Groves and Chris Scenini took seven wickets between them. Leeming Spartan also dominated with the ball, keeping undefeated ladder-leaders Thornlie to just 144 runs. Thornlie were looking healthy at 1-80 when three quick wickets to Logan Wake and Marc Dodds quickly sent them crashing to 4-80. Another three-wicket collapse in the tail, again sparked by two wickets to Wake, who finished with six, saw the end of Thornlie’s innings. Leeming finished the day at 0-15. Phoenix had a less effective stint in the field against CBC, allowing their opponents to set 236 runs. Despite a four-wicket haul from Shane Watkins, Phoenix’s bowlers were unable to do much to contain the CBC batsmen, including a huge 135-run innings from Brad Bootsma. Bicton Attadale is in for a fight in their match against Armadale, needing to chase down 226 to win the game. Winning the toss and electing to bat, Armadale quickly began mounting a formidable total as each of their first six batsmen scored 20 runs or more, including a 76-run game high from Jeffrey Petrie. Tory Richardson shone for the bowlers, taking 6-27 on what was a difficult day in the field. Facing eight overs before the end of play, Bicton Attadale finished at 1-20 after Aaron Wright was out for a duck courtesy of Damian Carroll, who was playing his 150th game. Play in all games will continue on Saturday.